PRO Landscape was developed in 1994 and has since emerged as the leading sellers of landscape design software. With a commitment to our customers we strive to add innovative features to stay on the leading edge of landscape technology. Our goals are to create a platform that provides landscape designers, contractors, architects, garden centers and other landscape professionals the tools to create stunning design plans and presentations to increase sales. Our landscape design software features photo imaging to communicate visually plants, hardscapes and other landscape elements including night and holiday lighting, easy-to-use CAD for precision, scaled drawings, professional proposals and 3D rendering of landscape designs. PRO Landscape software includes the largest and best landscape image library including plants by climate zone; hardscapes including pavers, walls and boulders; landscape statuary; water features; outdoor kitchens, fireplaces and other outdoor living products common in today’s landscape designs. 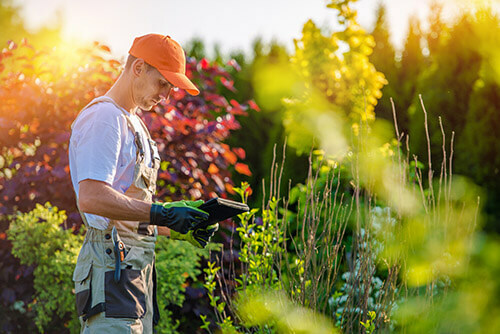 Our PRO Landscape software also includes the first professional landscape design app that allows you to create, modify, and present your landscaping ideas right from your iPad or Android tablet.